Would You Name Your Baby After a Pokemon? You'll be surprised at how many moms and dads are taking the plunge! 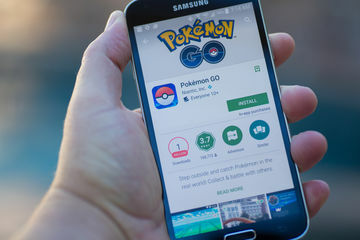 It's already taken over social media feeds, watercooler conversations and the sidewalks—now, Pokemon Go is infiltrating the world of baby names. Yep, you read that right: BabyCenter reports a recent uptick in certain names inspired by the phenomenon. While you may not be meeting a real-life Bulbasaur or Rattata on the playground in a few years, you very well could bump into a Roselia, Eevee, Onyx, Ash, Ivy or Shay. Want proof? According to BabyCenter, Eevee was the 5,517th most common name in 2015. In 2016? It's already risen to 2,892nd most popular, most likely due to the new app's popularity. This is one trend that probably won't die down anytime soon. If Pokemon Go's meteoric rise is any indication, we'll be hearing names from the franchise for months—and maybe even years—to come. After all, the zeitgeist routinely sparks baby name trends. Remember when Twilight ushered in a generation of Bellas and Jacobs? If you're expecting and want some Poke-spiration, check out this epic list of names inspired by the franchise.